Newport, Rhode Island is the historic home to one of the oldest and certainly most influential Jewish communities in early American history. These men and women arrived in Newport as early as 1658 and by the time of the American Revolution they grew to a population of over thirty families. Their rich and varied lives greatly contributed to the ideals of religious freedom and open commerce that would become the hallmarks of the emerging nation. With the family names of Lopez, Levy, Rivera, Seixas, deToro (Touro), Gomez and Hays, these men and women represented the merging of old and new worlds through the tradition and culture of colonial Sephardic Jewry. The following are brief accounts of a few of the extraordinary Jewish men, women, and institutions of colonial-era Newport. Jacob Rodriguez Rivera (uncle and father-in-law of Aaron Lopez) hailed from a "Marrano" family from Seville, Spain. He arrived in Newport via Curacao in 1748 where he introduced the manufacture of spermaceti candle-making. Next to Aaron Lopez, Rivera occupied the highest position in the commercial, religious and social life of Newport’s Jewish community. His daughter Sarah, married Aaron Lopez and his son Jacob owned a grand mansion on the Parade that is today located at 8 Washington Square. History also remembers the Rivera Home then the residence of Deputy Governor John Gardiner who with the Reverend James Manning in July, 1763 met with interested citizens and first made the design known to establish a college in the English colony of Rhode Island, which eventually became Brown University. Moses Levy and the Moses Seixas families both lived in one of Newport's large colonial mansions at 29 Touro Street. Seixas was a founding member of the nation's oldest Jewish Masonic Lodge (King David in Newport) and Grand Master of the Masonic Order of Rhode Island. Seixas was well known as the Cashier of the Bank of Rhode Island. 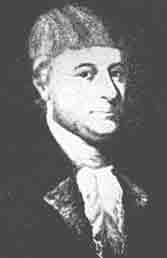 President (Parnas) of Touro Synagogue at the time of the George Washington visit and letter to the congregation, Seixas also performed the Covenant of Circumcision (B’rith Milah). Prominent merchant and trader Moses Levy of New York and Newport was one of several Ashkenazi Jewish families in Newport at that time. Levy owned the Touro Street Mansion and willed the property to Moses Seixas in 1792. 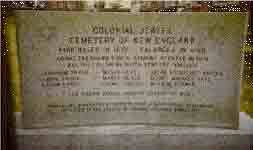 Levy was also one of the original benefactors of Touro Synagogue. Rev. Isaac Touro was the First Spiritual leader of Congregation Yeshuat Israel. His family came to America from Amsterdam via the West Indies, though originally from Spain where family name was "de Toro." Rev. Touro arrived in Newport in 1759 when only twenty years old, having been trained in Holland for the Jewish ministry. He provided from memory the design of the Touro Synagogue from the great Sephardic Synagogues of Amsterdam. Sons Abraham and Judah would become great 19th century philanthropists. Moses Michael Hays was not only brother-in-law of Rev. Isaac Touro, but a prosperous merchant. Hays introduced the Order of the Scottish Rite Masonic Order to America. He was the Grand Master of Massachusetts Masonic Lodge with Paul Revere and friend of Patriot Thomas Paine and he helped organized the King David Lodge in 1769. Hays moved from Newport to Boston in 1780. He is credited as being one of the founders of the Massachusetts Fire and Marine Insurance Co., which grew to become the Bank of Boston. At the Old Colony House, one of the oldest existing government buildings in America, in June, 1776 (one month before the Declaration of Independence) Hays delivered a now famous letter to Rhode Island General Assembly protesting the requirement that Jews sign loyalty test before the fledging government. 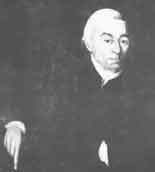 Ezra Stiles was a Congregationalist minister in Newport and close friend of Isaac Touro and Aaron Lopez. His diaries contain the most extensive descriptions of 18th century Jewish life in Newport. Later he would become first President of Yale University and add Hebrew to the university seal. Judah Touro was the youngest son of Isaac Touro and he moved to New Orleans in his early twenties where he made his fortune as a merchant/trader. At the time of his death, his estate totaled nearly one million dollars, most of which was given to charitable organizations, orphanages, religious institutions, and towards good works in various cities including his birthplace, Newport. Land was purchased with his generous gift in 1855 for the purpose of providing a public park and preserving the historic Old Stone Mill. Touro Synagogue is the oldest existing synagogue in North America (completed for Chanukah in 1763) located on what was originally called Griffin Street. 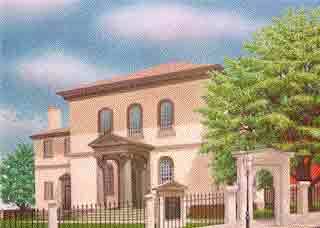 The founding Newport congregation organized as "Yeshuat Israel" or Salvation of Israel never named the synagogue Touro. Those recognizing Abraham Touro’s generous gifts to restore the building, street, and boundary walls loosely called the synagogue "Touro’s Synagogue" in the mid-19th century. Under the Bimah lies a trap door that was used to house runaway slaves as part of the Underground Railroad. The trap door also represents the Marrano tradition of remembering the perils of Jews living in Spain and Portugal during the Inquisition and having to flee from soldiers of the Holy Office at a moments notice. 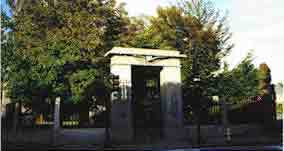 The Hebrew Cemetery on Bellevue Avenue has origins dating back to 1677, making it the oldest (existing) Jewish Cemetery in America. The final resting place of many of the first Jewish families of Newport and America, including Touro, Hays, Myers, Lopez, Hart, Seixas and Rivera. The 1712 map of the Town of Newport identifies the cemetery on "Jew Street." As of 2017, Rhode Island's Jewish population was approximately 18,750 people.